Digital technologies are developing at exponential rates and have taken businesses to the next level but at the same time success of the companies or businesses is an incredible challenge. Most companies feel a sense of urgency to transform strategies in order to thrive in the future. Here is the ways, AI can help you to reach your goal. Knowing your customer is a key factor in marketing. Companies having comprehensive understanding of their customer, can easily reach their goal. AI can collect and get you customer’s online behavioral data which can help you to setting marketing plan and strategies. In a survey conducted by Gartner, predicts by the end of 2020 customers will manage 85% of their relationship with the companies without interacting with a human. Which means human interactions will be less and most of the interactions would be done through chatbot using AI and other technologies. With that in mind, marketers should rethink their strategies and find out how AI can help them. If your marketing strategy is not fetching you conversions or sales and failing to convert your leads into a potential customer, your company need to integrate AI with the existing plans. Deep data analysis enables to spot key information on customer online consumption habits helping to calculate the probability of a customer purchase, giving an idea of short-term and middle-term turnover. With this marketers will know about their prospects beforehand along with the idea of how to deal with them. If your company’s page actively maintaining social media pages, You might are receiving lots of feedback through Facebook, twitter or LinkedIn, Instagram accounts. people share their thoughts, suggestions, complaint, comment through social media. AI tool can simply help you to understand customer’s thoughts, understand their attachment with brand and many more information you can get by using AI tool. Deep consumer analysis and behavior, market analysis, and trends play crucial role creating digital marketing campaigns. AI help to gather information collected from past searches to optimize future searches. Identifying consumer preferences and information in real-time is a great asset for any business. AI-enabled chatbots and virtual assistants communicate and respond to customer queries 24/7 providing customer service in real time in a cost-effective manner helping to develop marketing strategies based on customers thinking and current requirements. Artificial intelligence is a hot topic and due to the application in so many fields, it can transform every industry. Successful and targeted marketing is the key to establishing your brand. With the right AI solutions you can achieve that within the shortest time span! 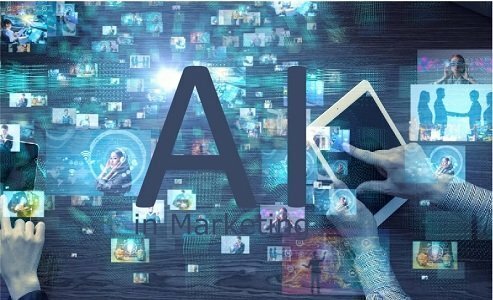 Maximize your marketing efforts by adopting AI which will allow you to clear your time-consuming data segmentation and make room for conceptualizing new marketing strategies.